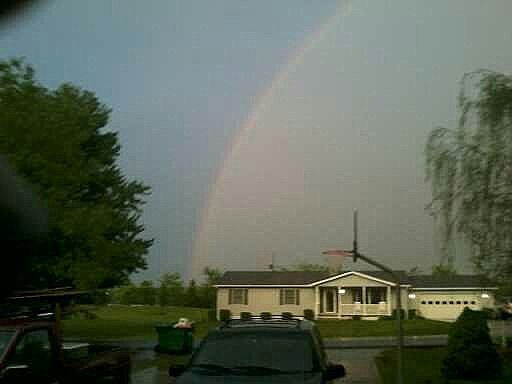 to all active Military and Veterans. 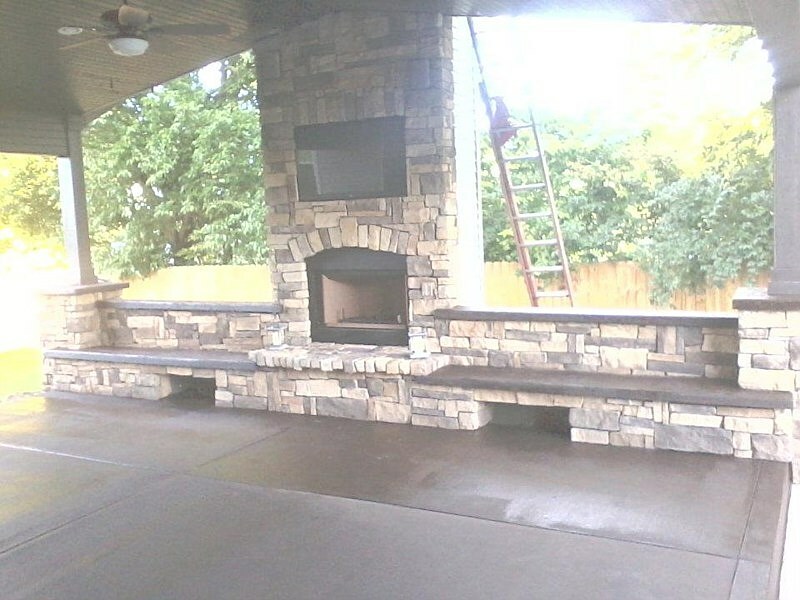 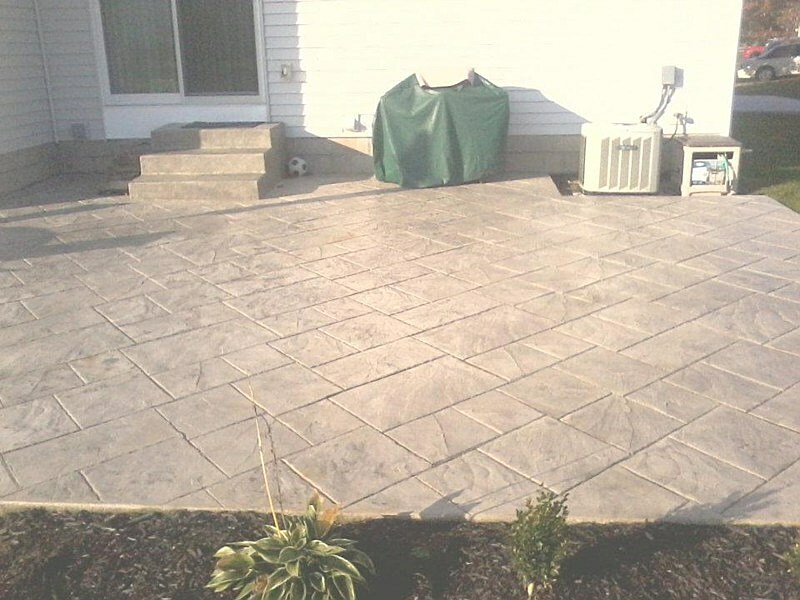 Stamped concrete is used to enhance, pool decks, and interior flooring. 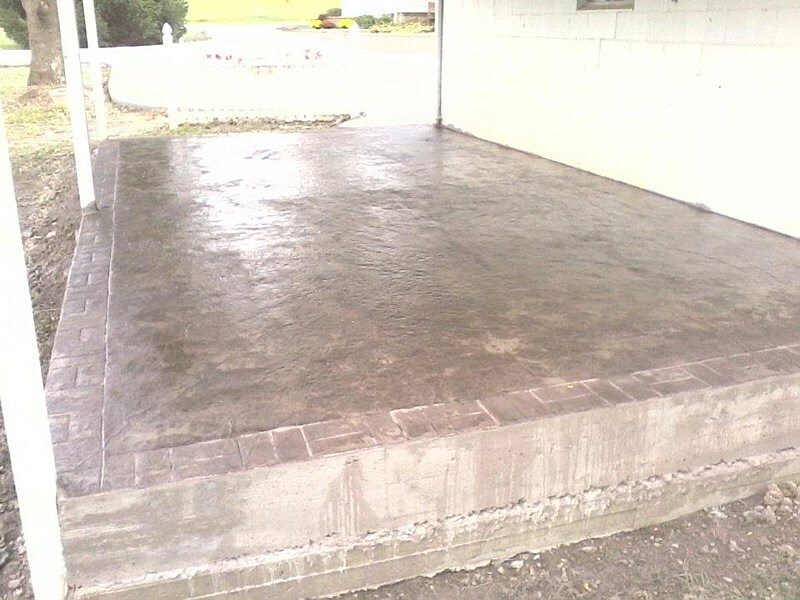 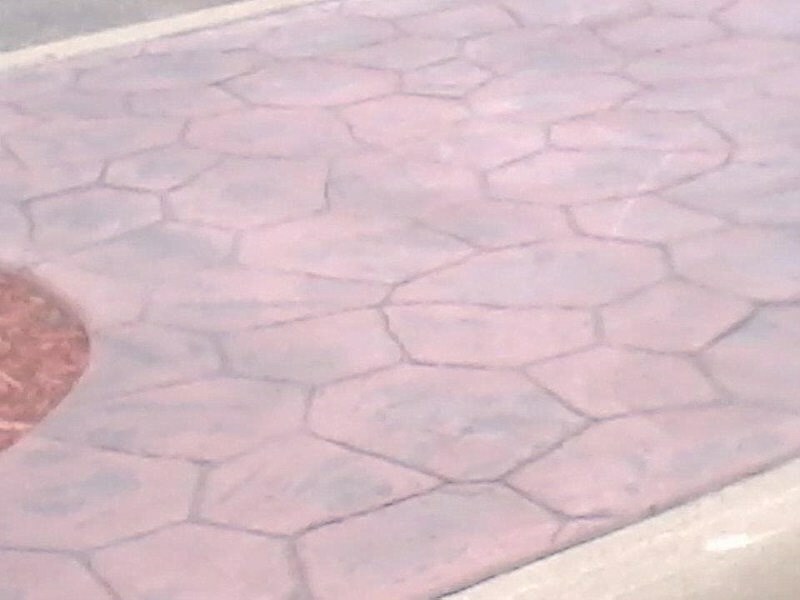 The ability of stamped concrete to resemble other building materials makes stamped concrete a less expensive alternative to using those other authentic materials likestone, slate or brick, but gives you years of long lasting beauty. 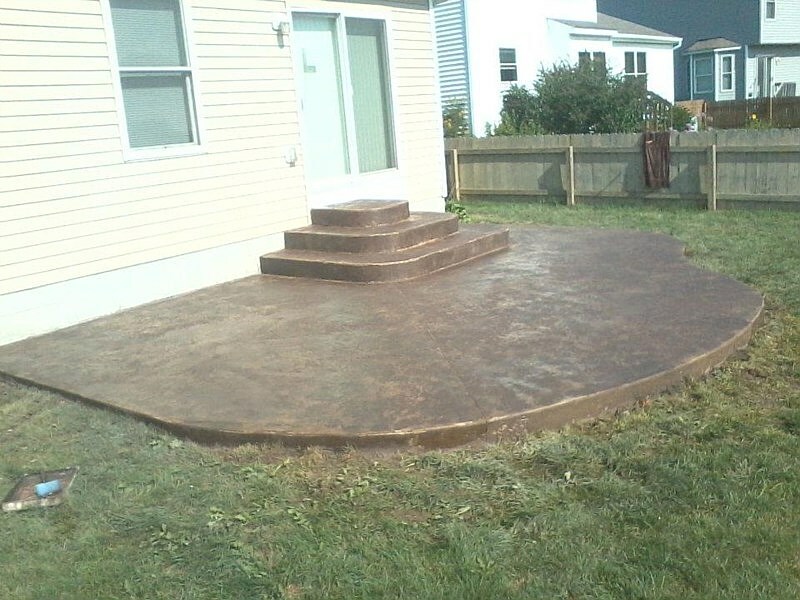 Call us today and let us turn the ordinary to something to be proud of. 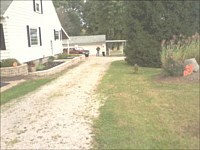 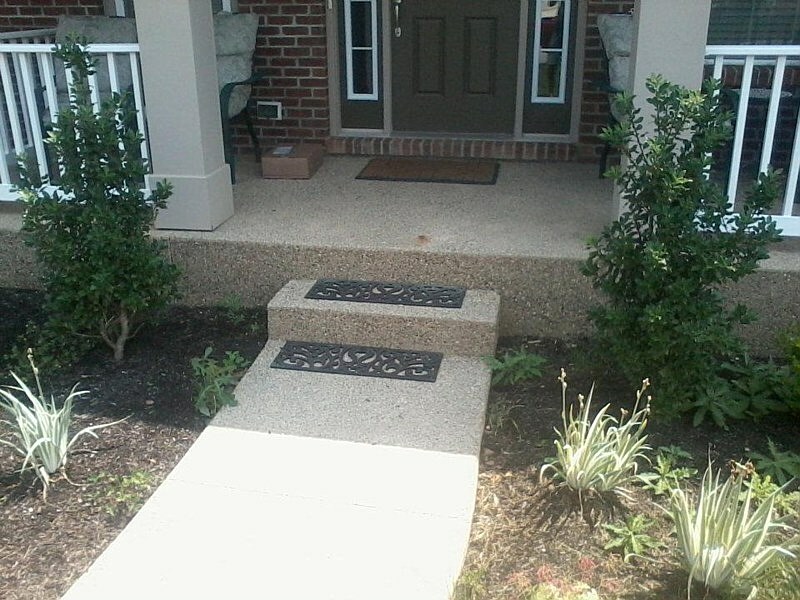 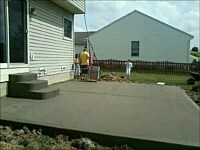 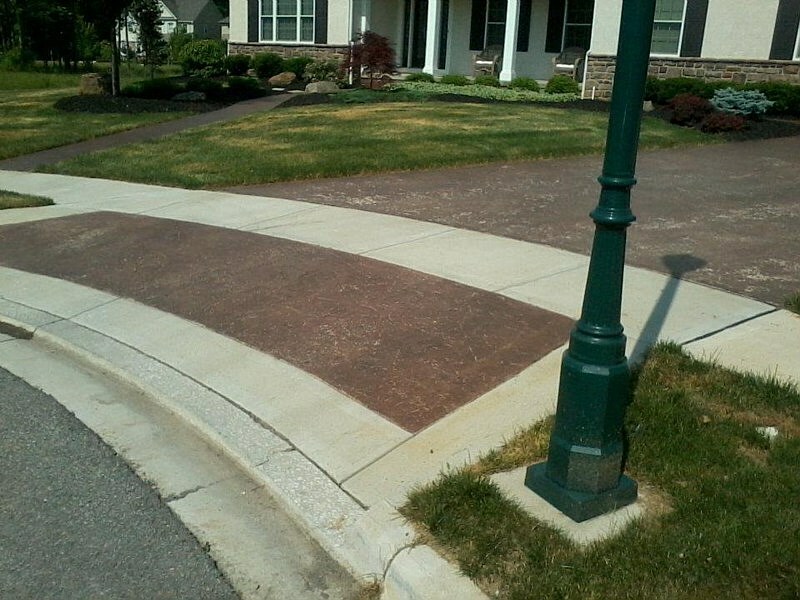 Looking for a cost-effective method of beautifying your residential or even commercial properties? 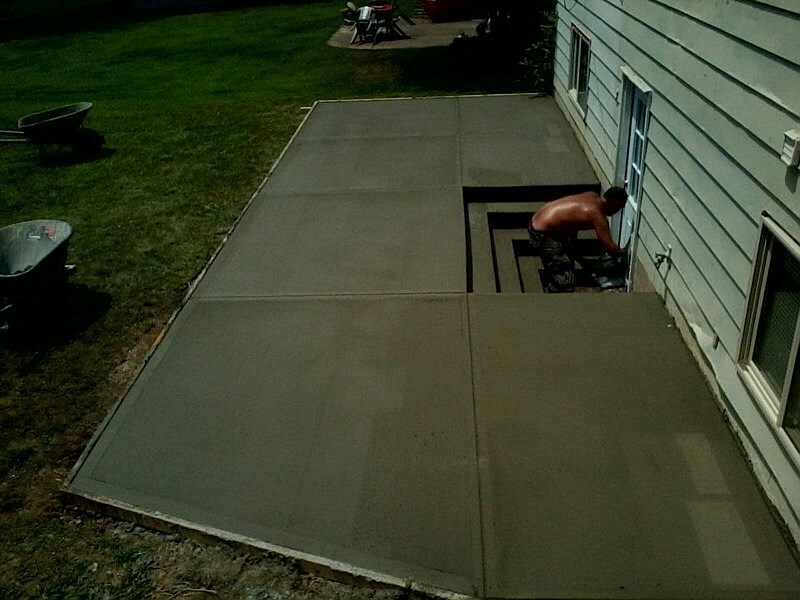 Turn to concrete stamping. 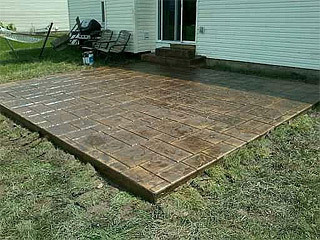 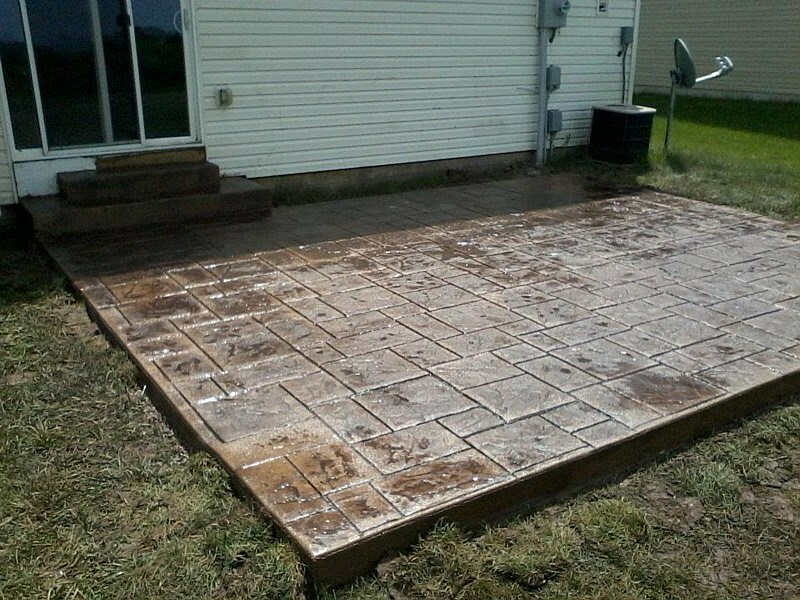 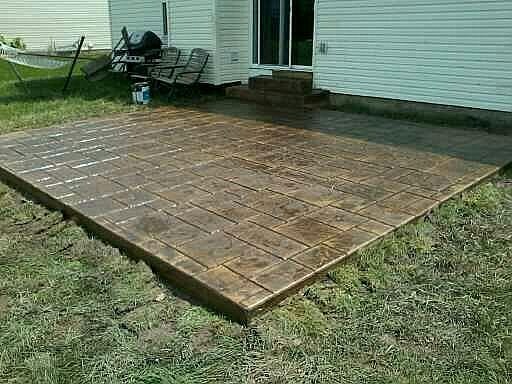 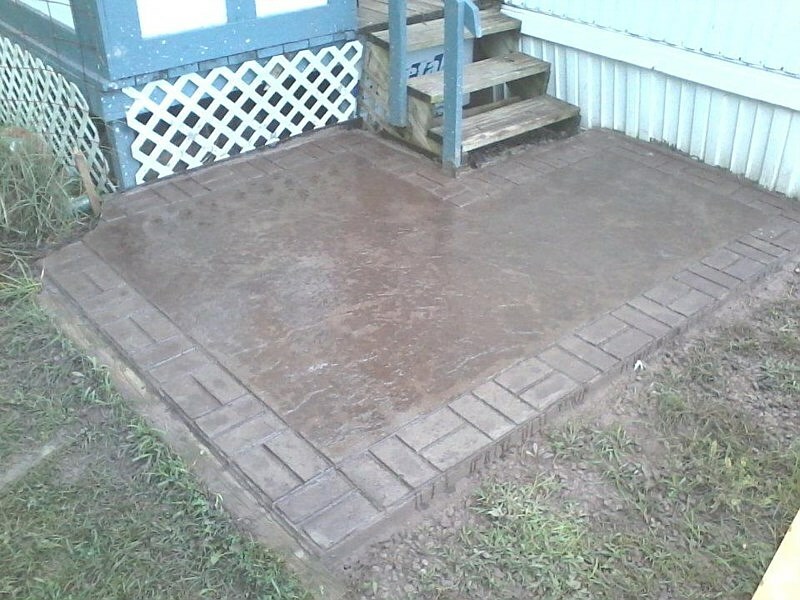 Stamped concrete is attained by making a normal concrete become more interesting and beautiful. 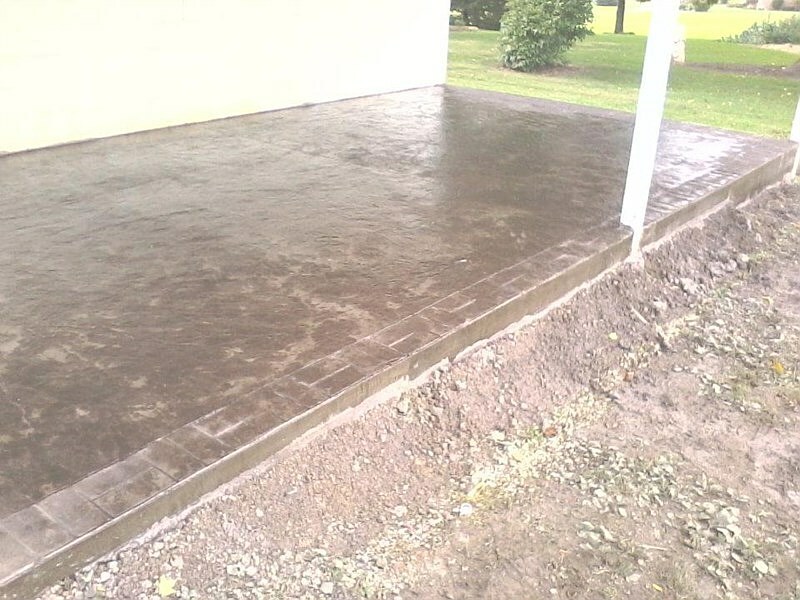 The process involves compressing rubber mats, named as stamp, which is used in a similar way with the compressing of the surface of genuine brick, paving stone, hardwood and many other materials. 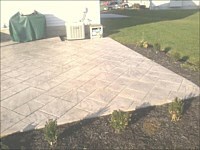 Patios, ponds areas, porches, floors, driveways and internal home surfaces can be compressed using this process. 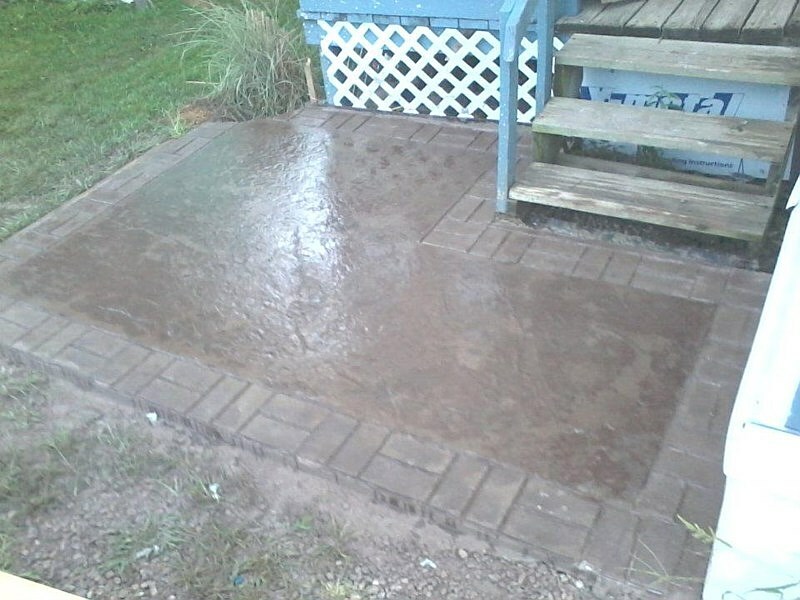 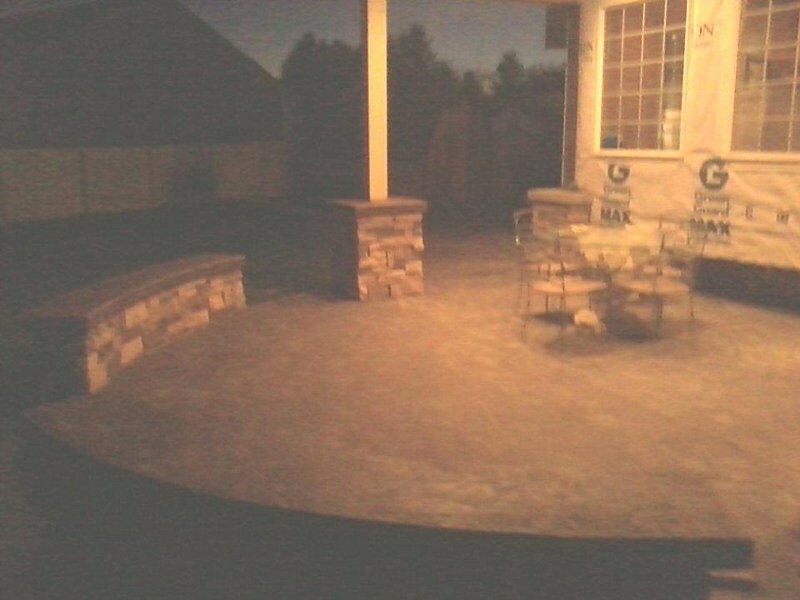 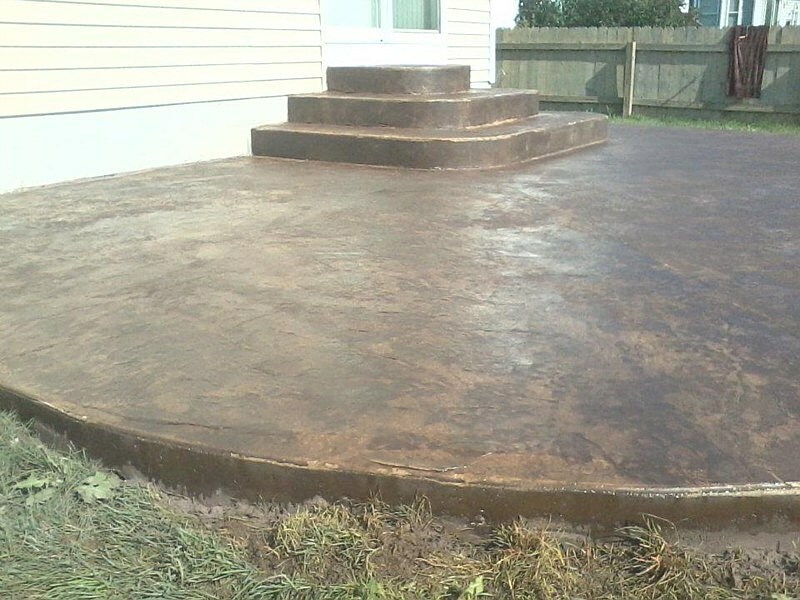 Stamped concrete has been popular for decorating fountains and other custom landscaping pieces. 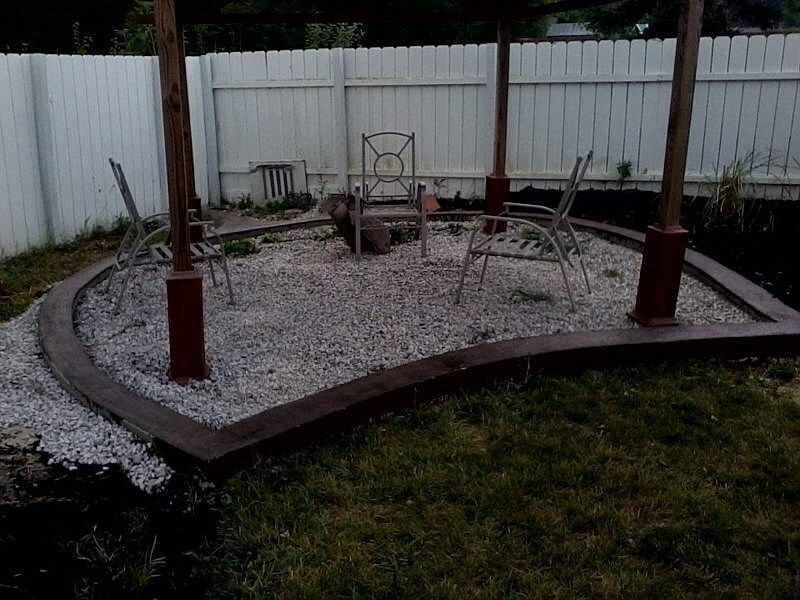 In case you want your outdoors look more interesting and inviting, then Citizen Construction Group will help you through in that pursuit. 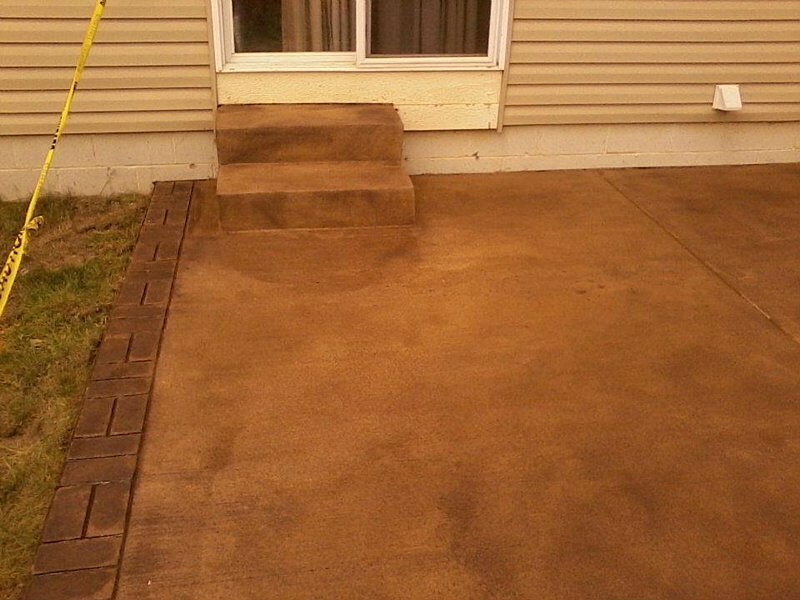 If you wish to have a permanent, distinctive surface imitating the appearance of some natural stones, then opt for stamped concrete. 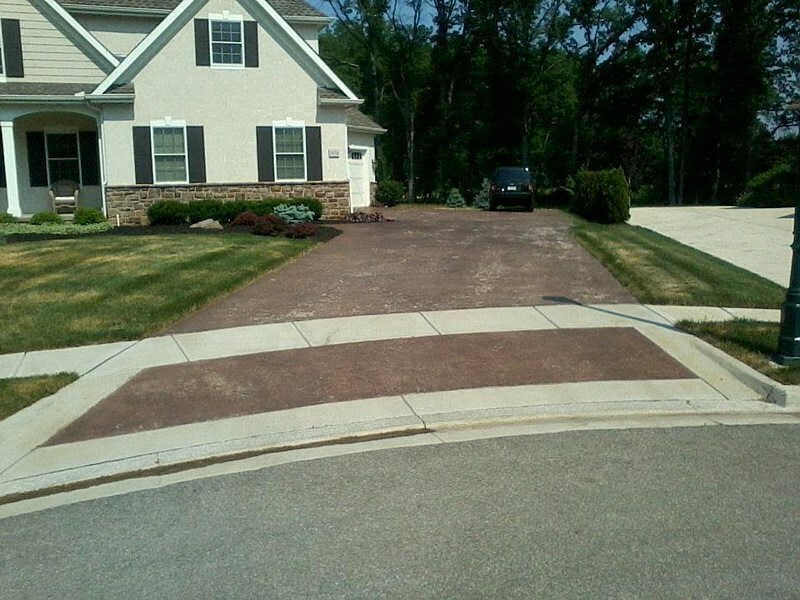 You can enhance the beauty of your home by creating an eye-catching brick surface over a long concrete driveway with the use of stamping technique. If you have a large courtyard or porch surface, you can mimic paver stones or flagstone surface to achieve an elegant look. 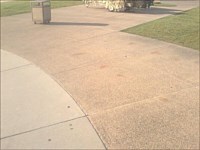 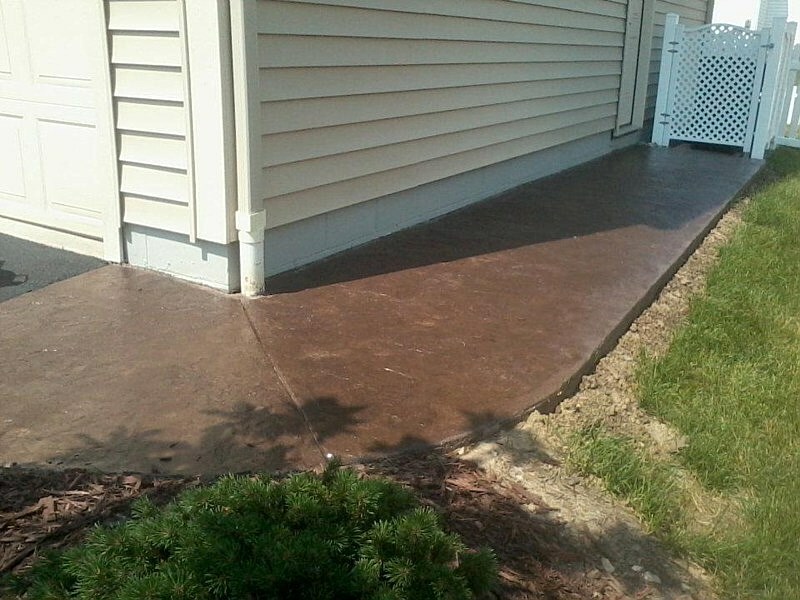 You can also taint your concrete with russet acid stain or acrylic. 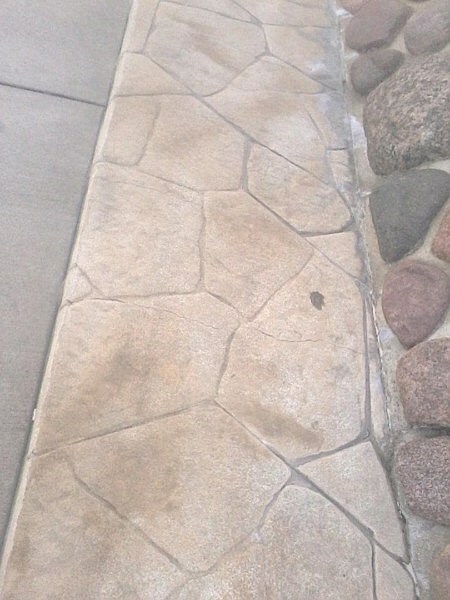 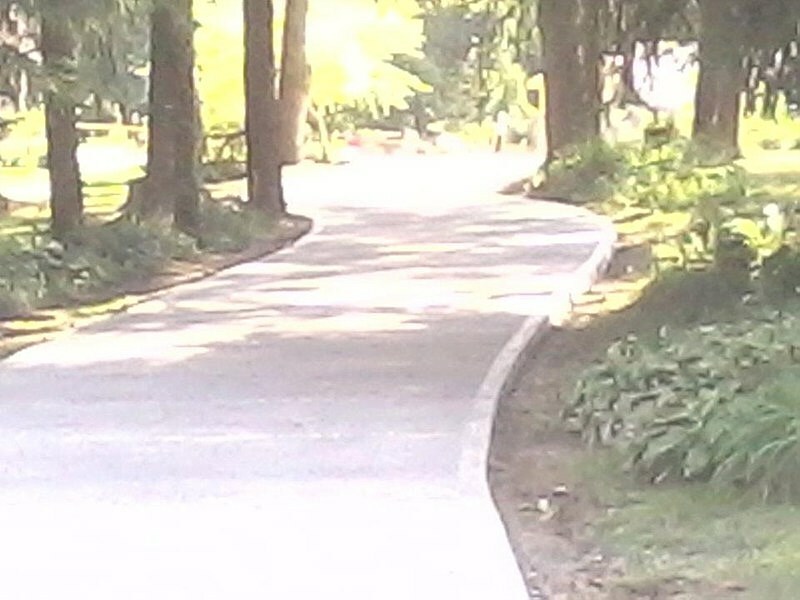 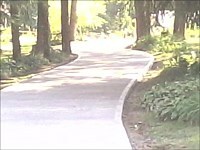 This will then transform your corridors, patios or concrete driveways seem like an old slate of the Roman period. 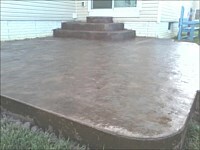 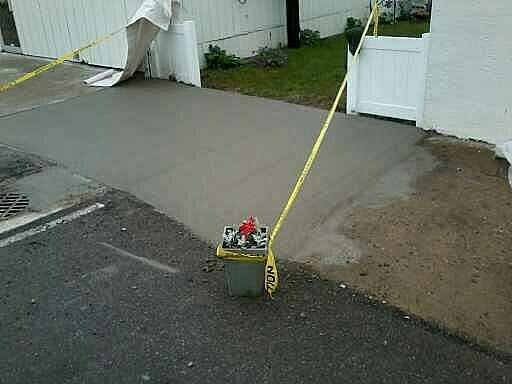 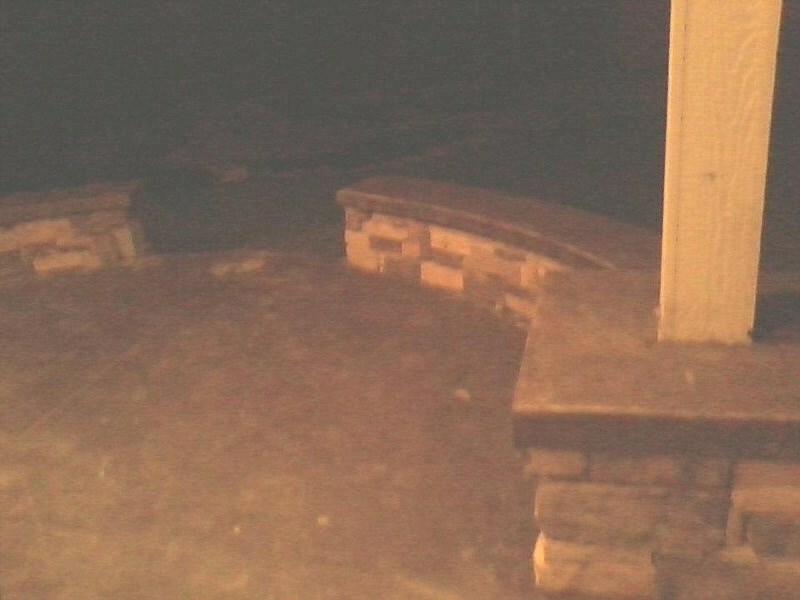 The good thing about stamped concrete is you can come up with limitless designs. There are also a great variety of tools available in the market for stamping concrete. 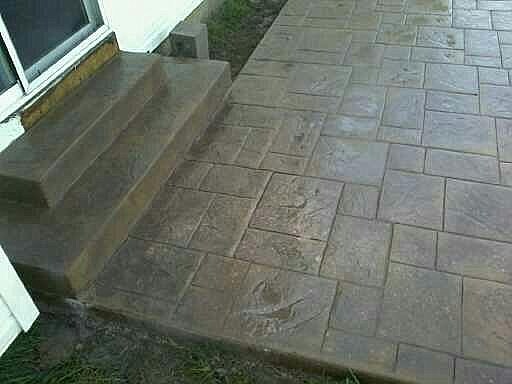 You can even buy realistic tree bark stamps, fossil, bear, wildcat track and many other shell stamps that will provide your patio, pavers or porch a distinctive look. 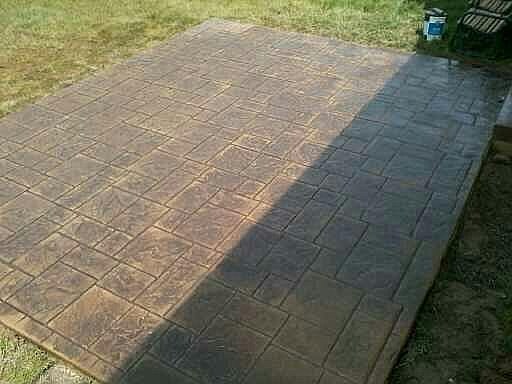 Some manufacturers produce custom stamps that allow you to make a bold design statement when personalized with logos and other unique graphic. 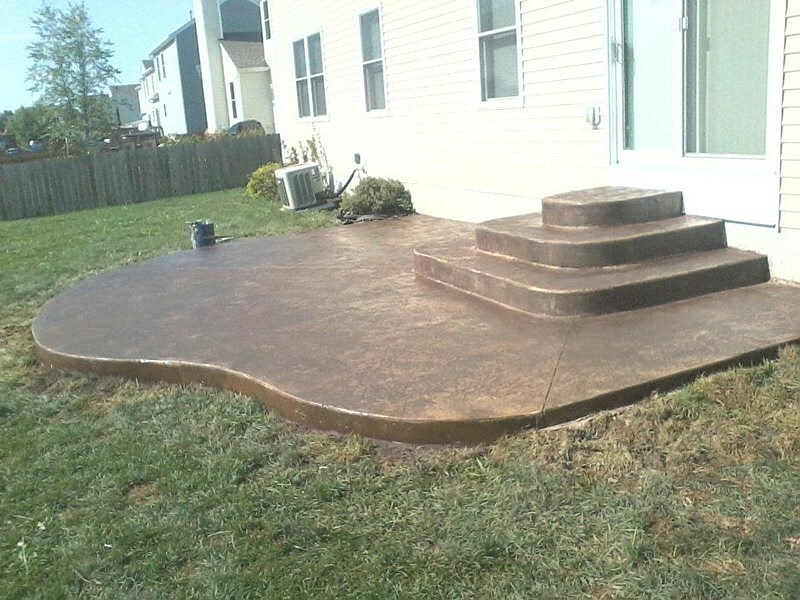 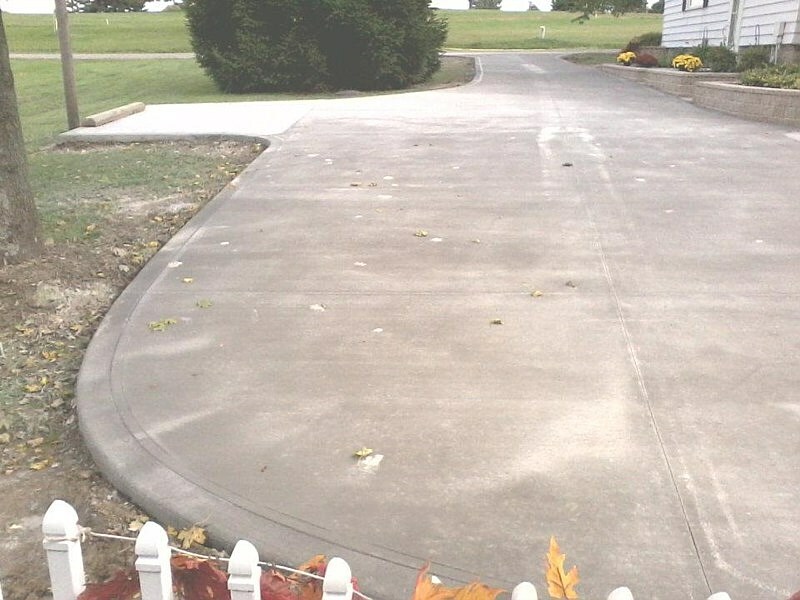 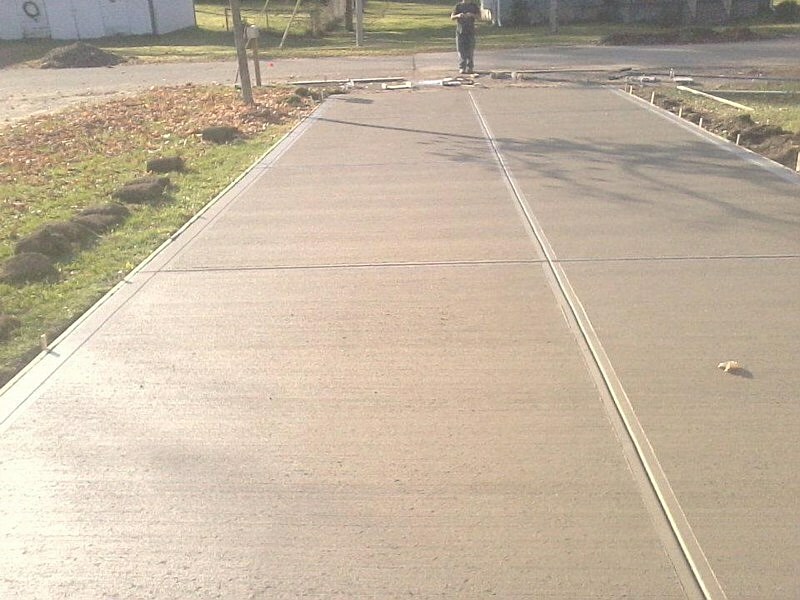 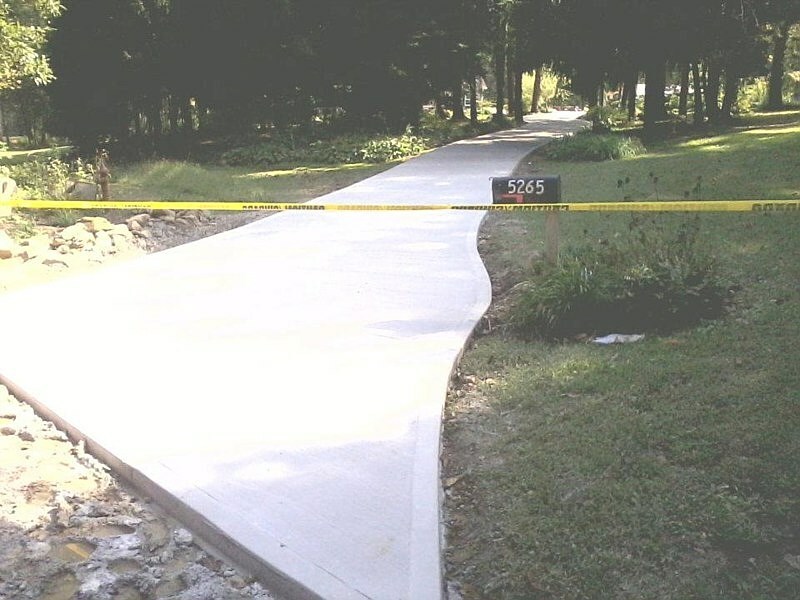 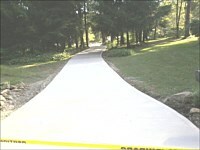 Concrete stamping can definitely contribute to your project's overall quality and aesthetics. 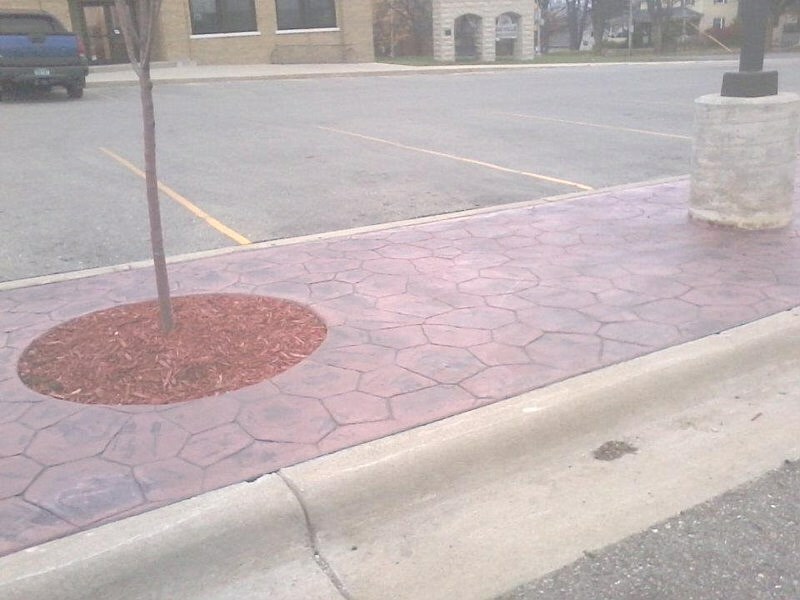 If you own a commercial property, it is smart to use stamped concrete instead of stone or other weaker bases. 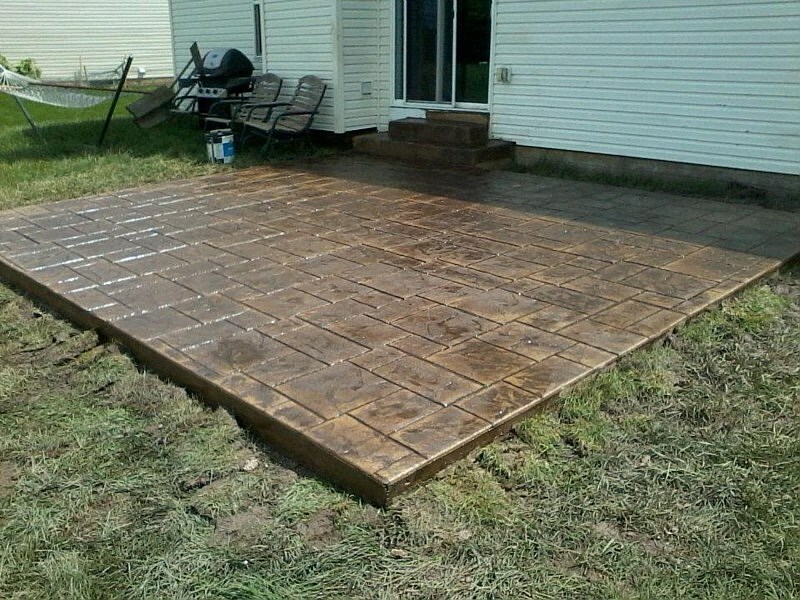 For professional contractors, working on decorative stamped concrete is faster than the installation of other flooring systems. 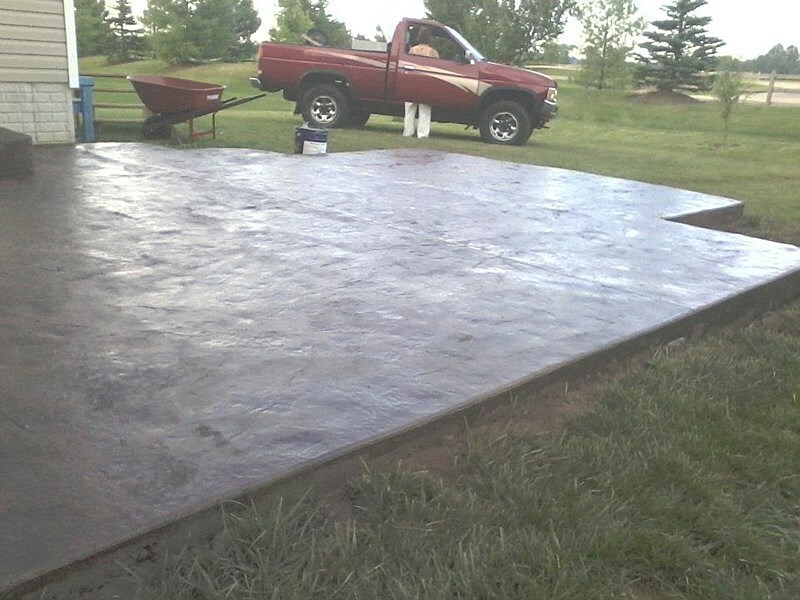 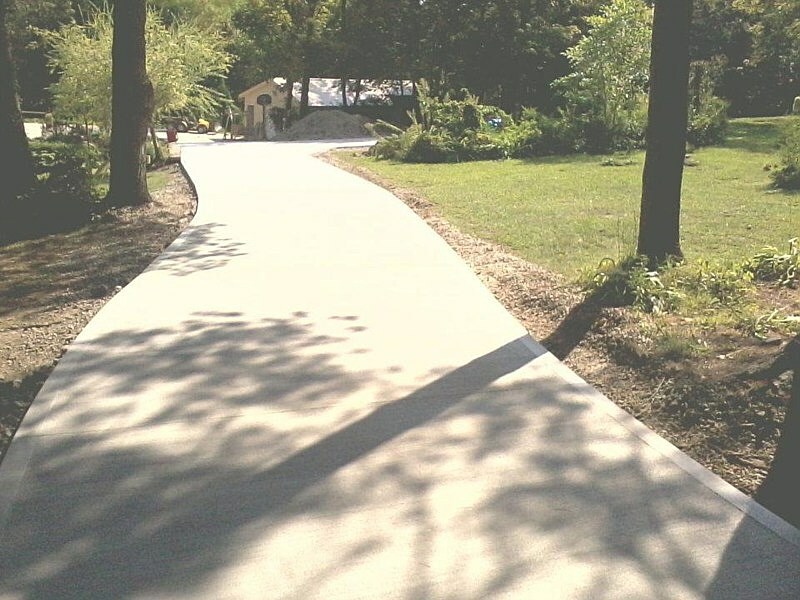 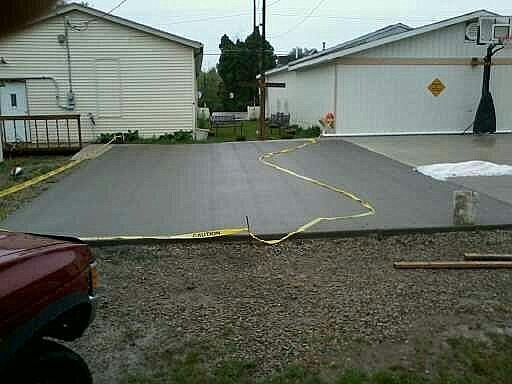 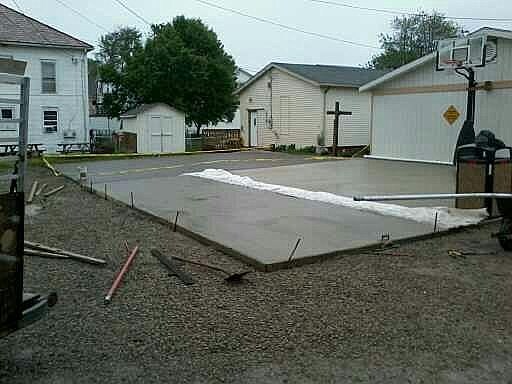 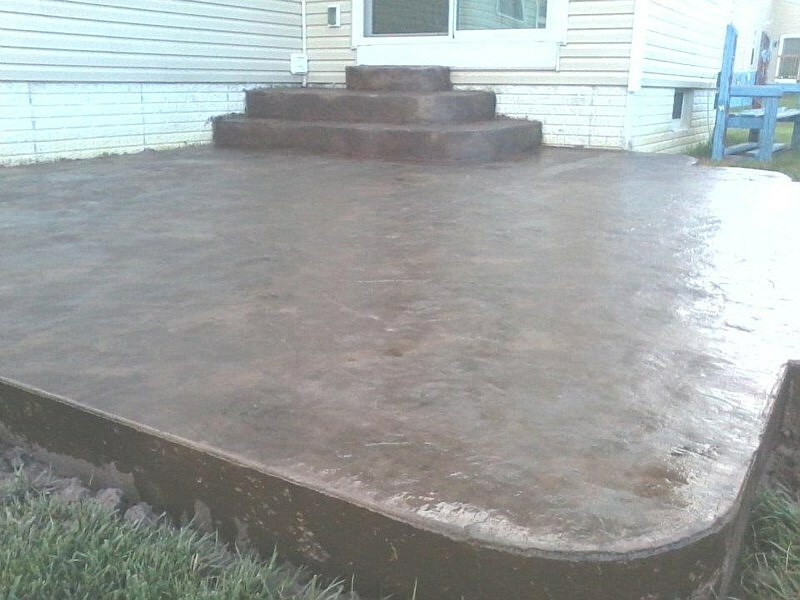 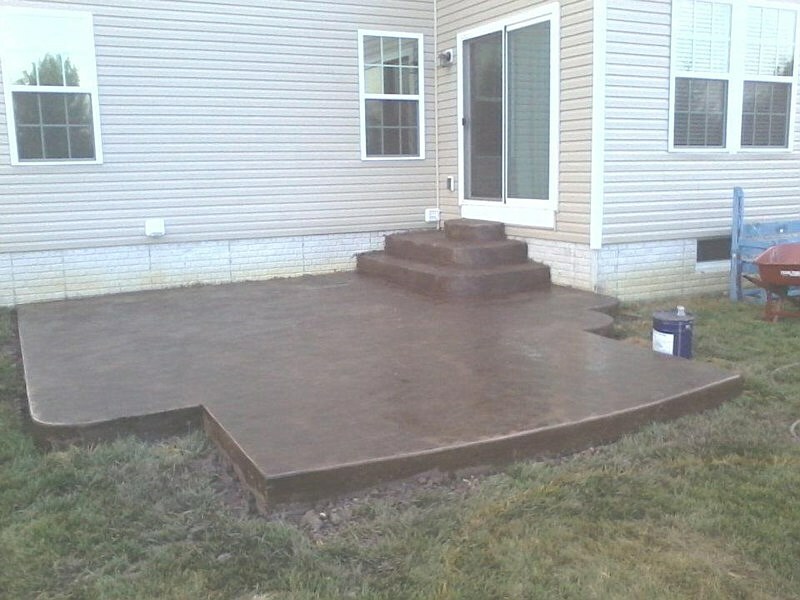 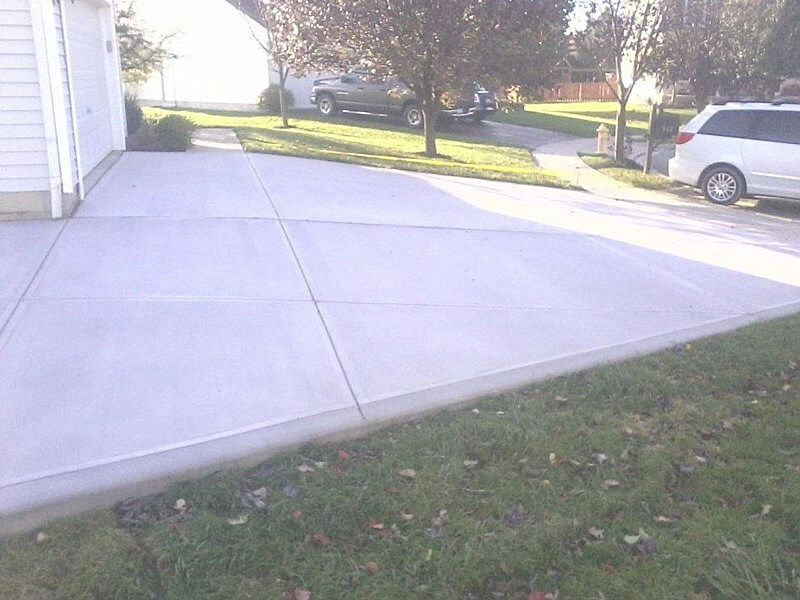 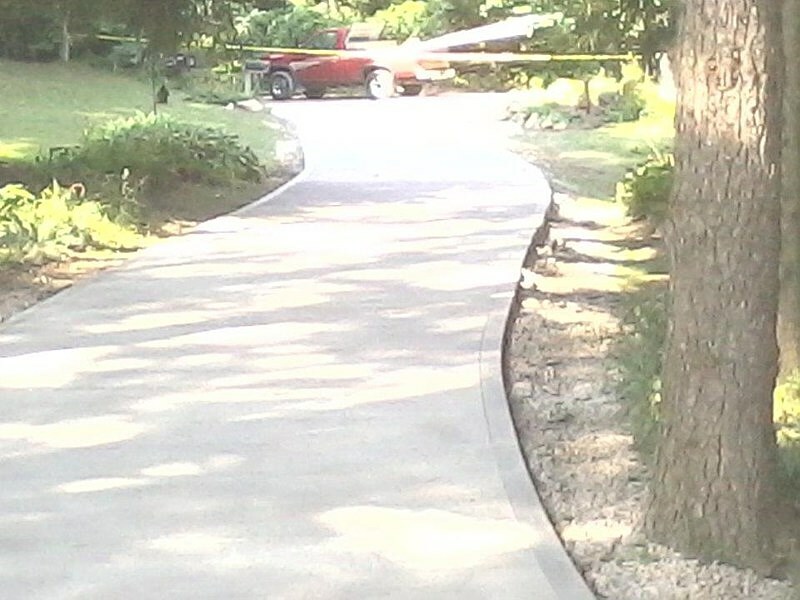 With faster installation and lower material cost, stamped concrete is a good alternative. 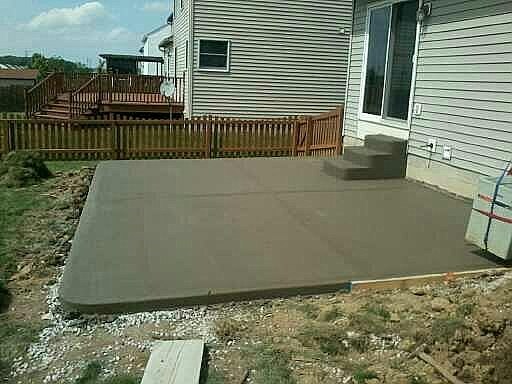 Some homeowners may decide to do the work on stamped concrete but it will be best if you leave the job to professionals like Citizen Construction Group for more accuracy in design and installation. 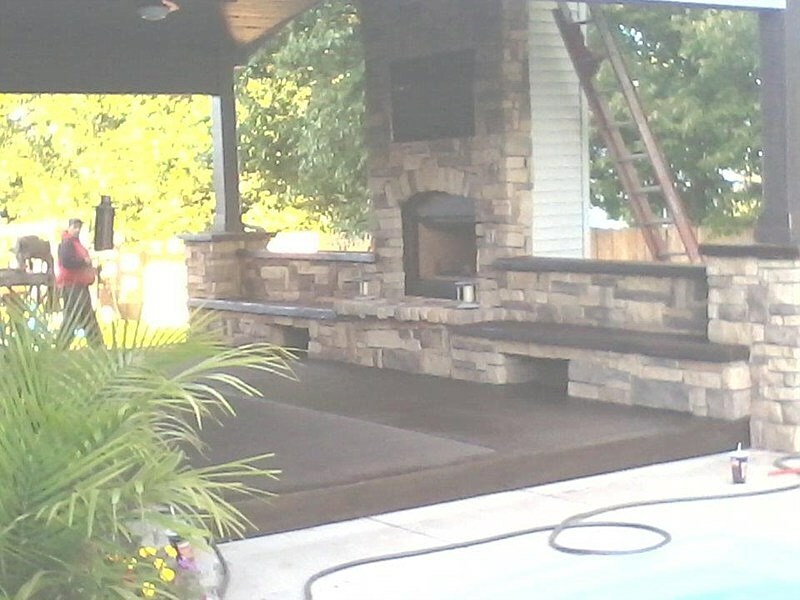 Usually our installers will plan out a design and color patterns with you so that everything matches the exterior or interior of your home or office. 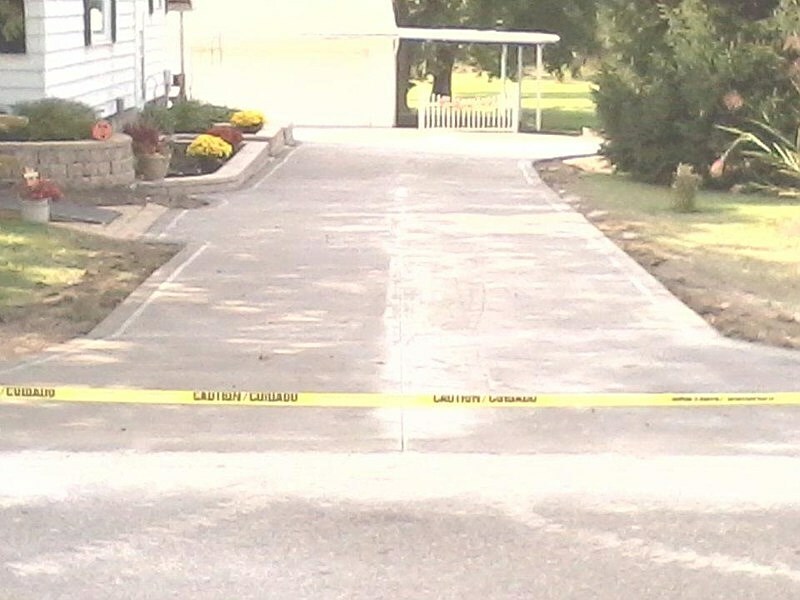 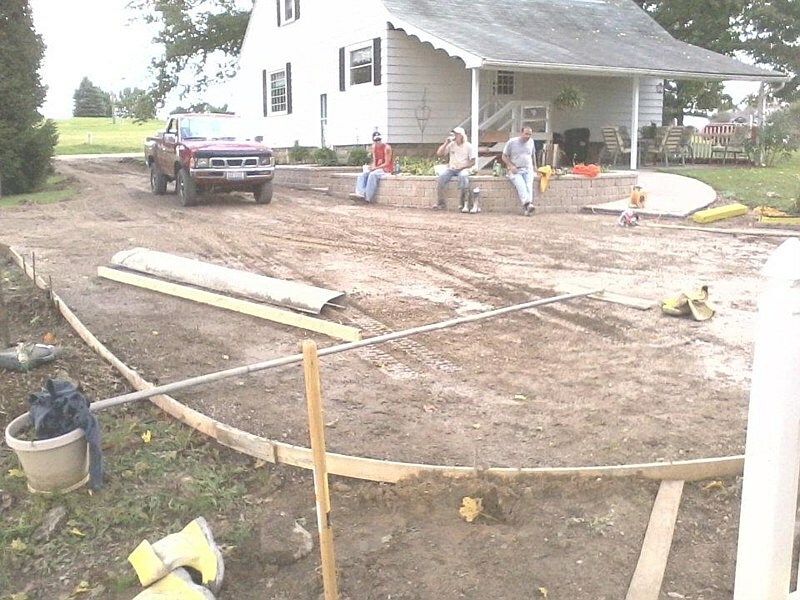 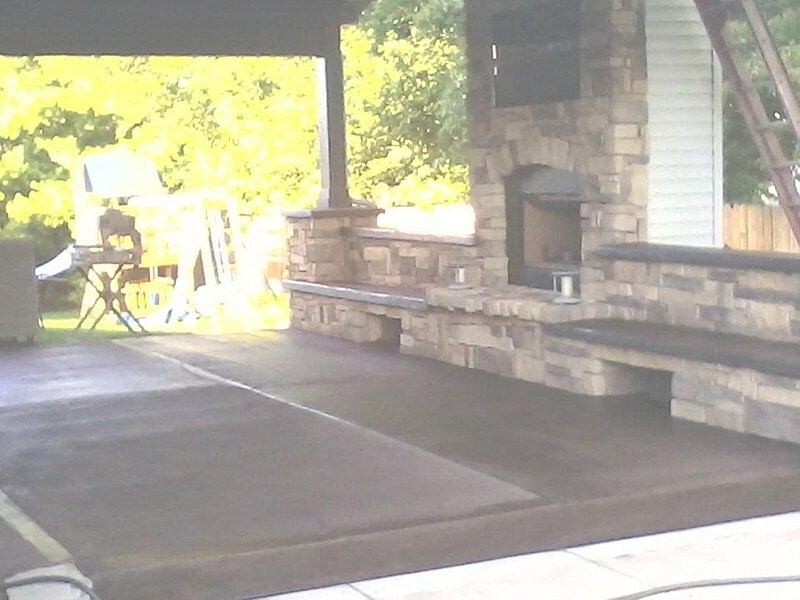 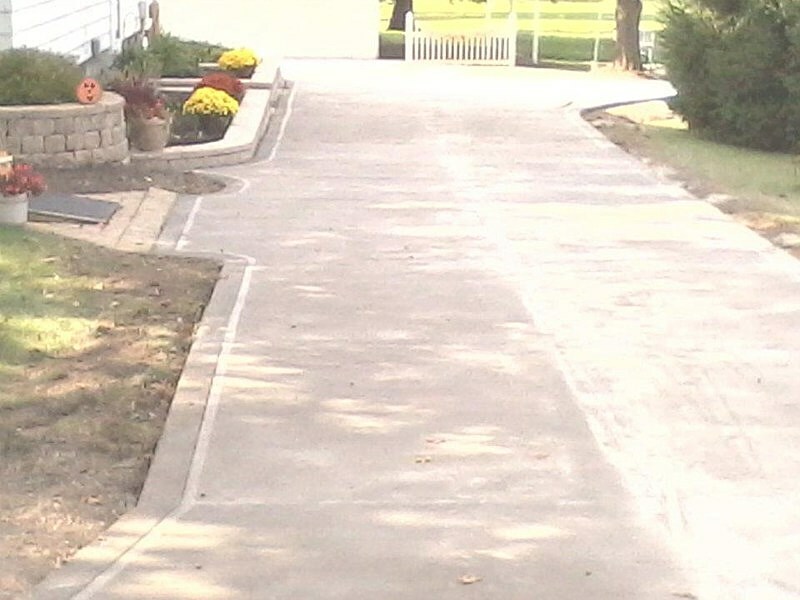 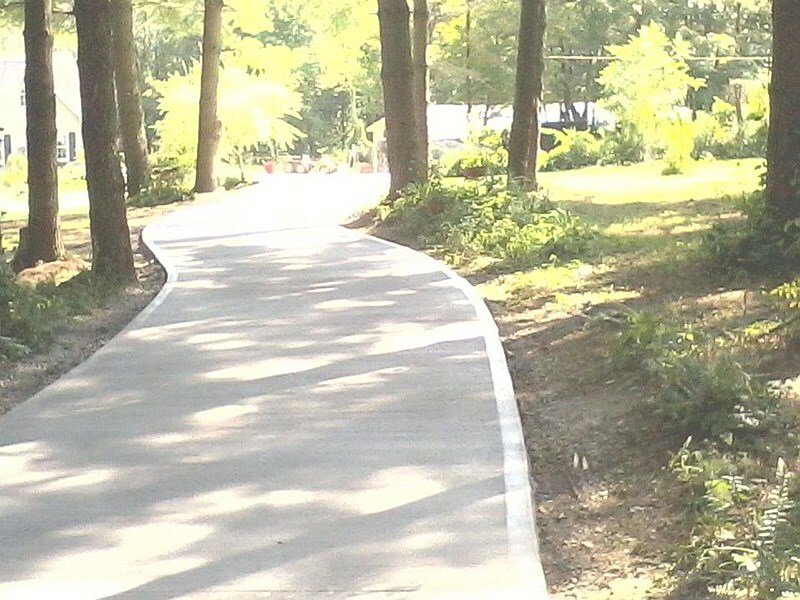 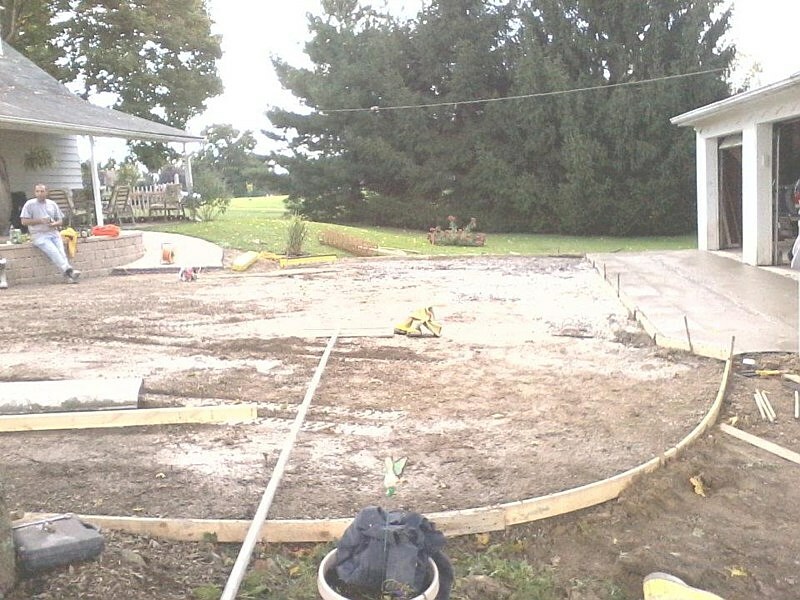 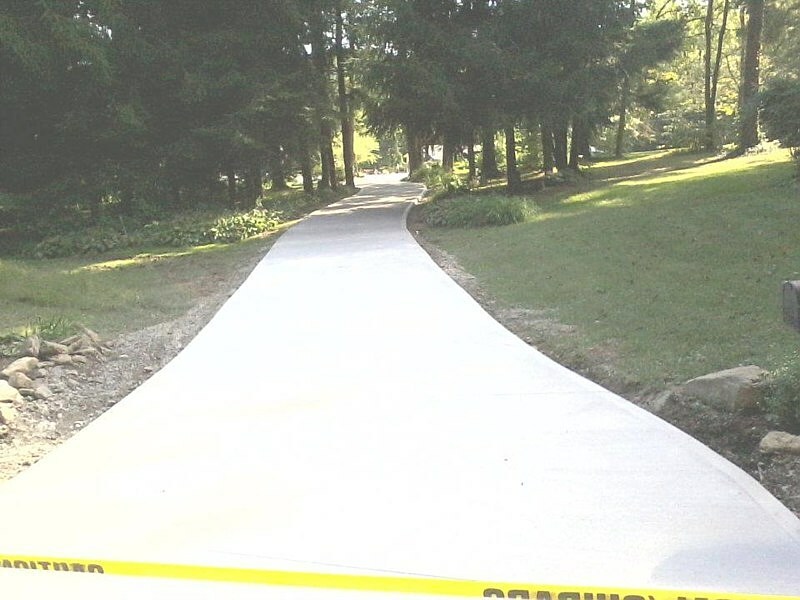 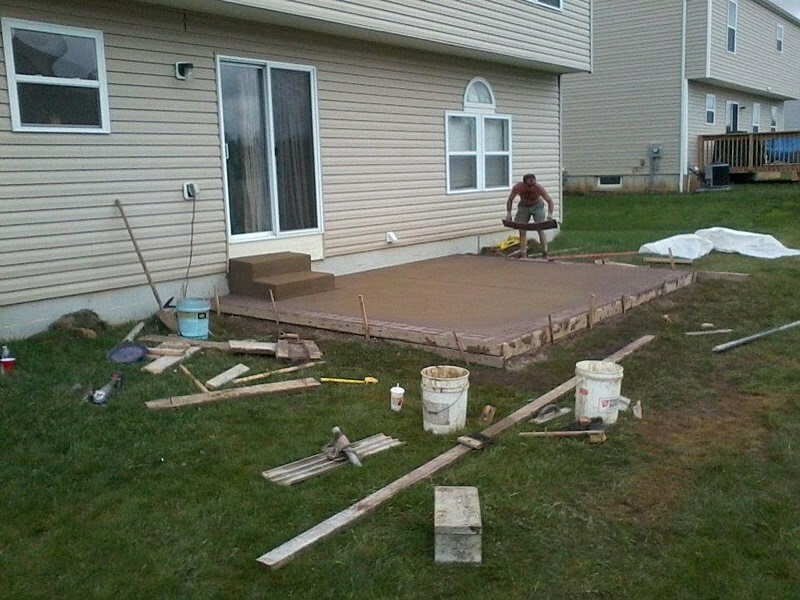 We have been into this industry for decades and we assure you that our years of experience with hundreds of clients will result to a timely and accurate job especially with stamped concrete. 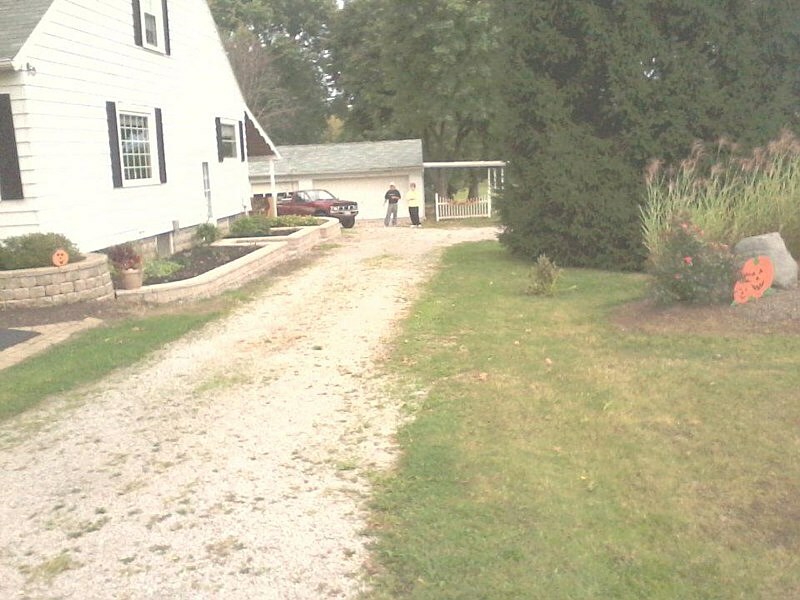 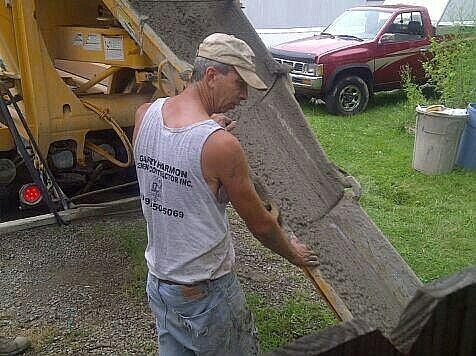 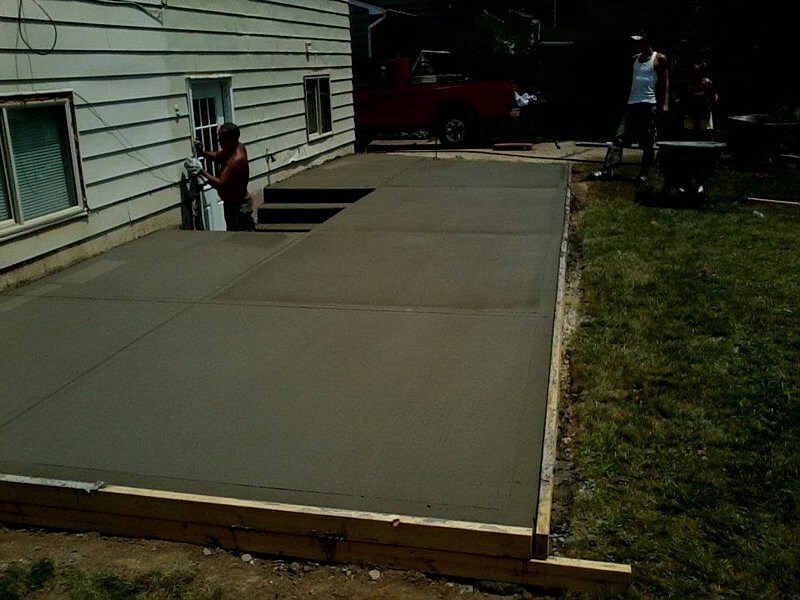 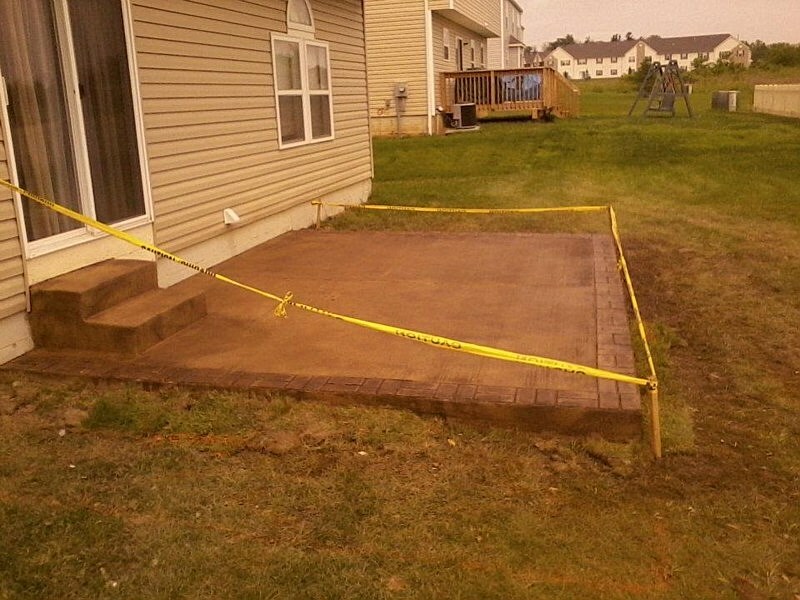 If your business or residence is in Ohio, don't hesitate to call Citizen Construction Group for any stamped concrete project that you may have. 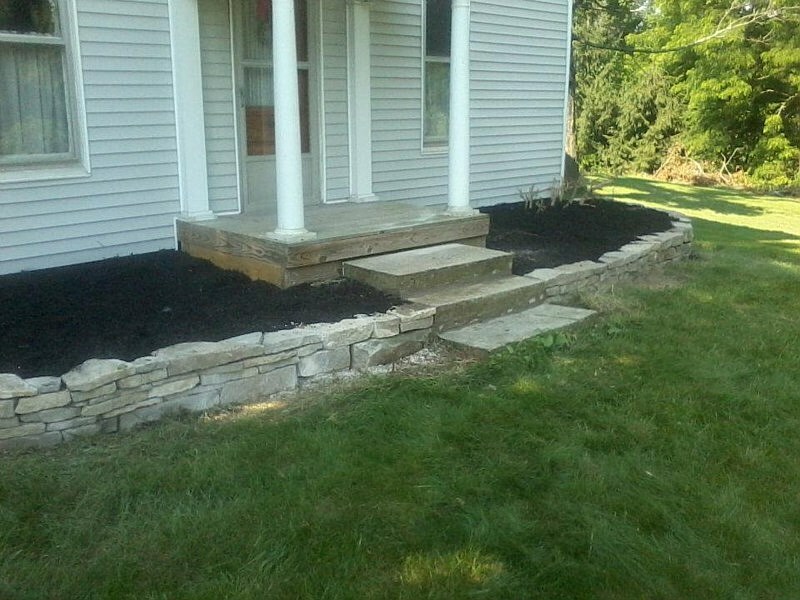 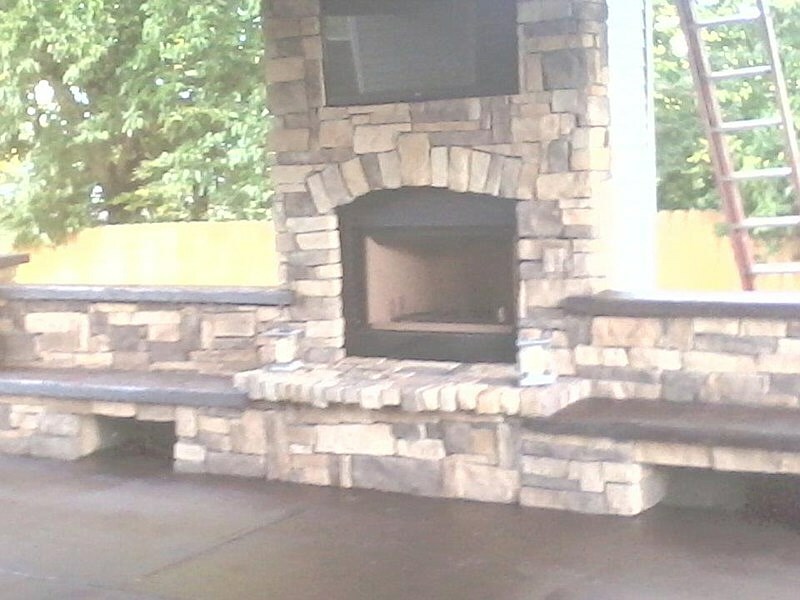 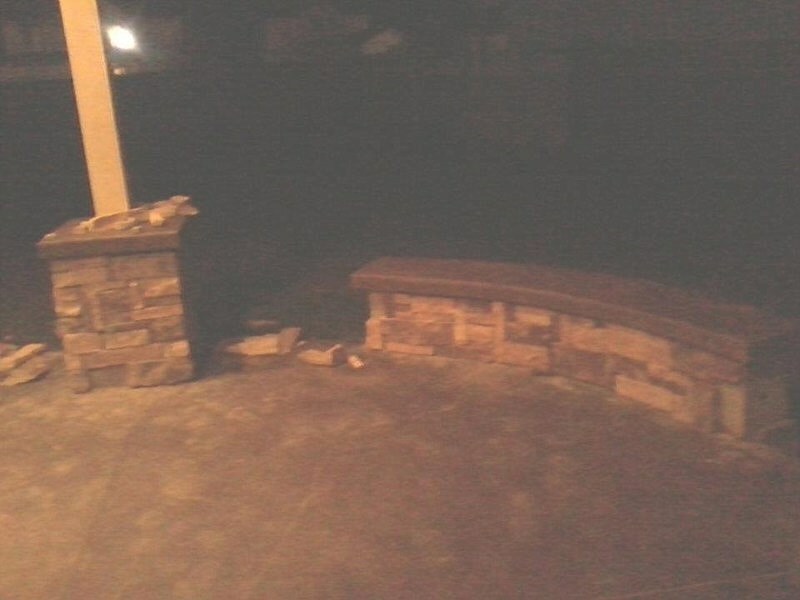 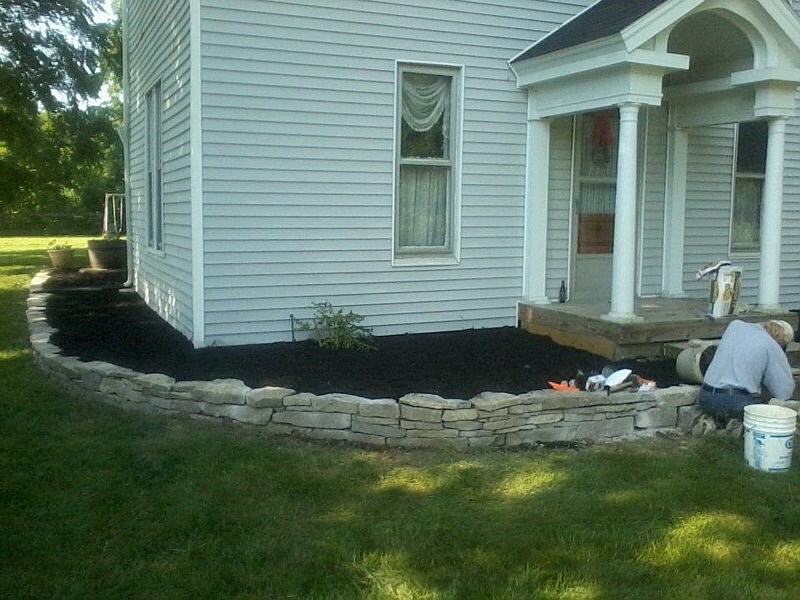 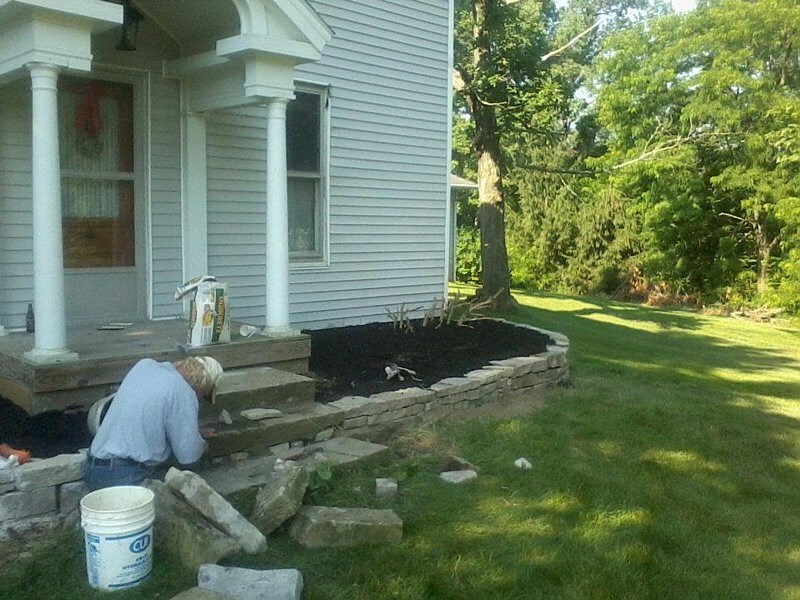 We've been doing carpentry and masonry works for various clients in the state of Ohio so we are confident that we know what we do and we do it with both quality and aesthetics in mind.